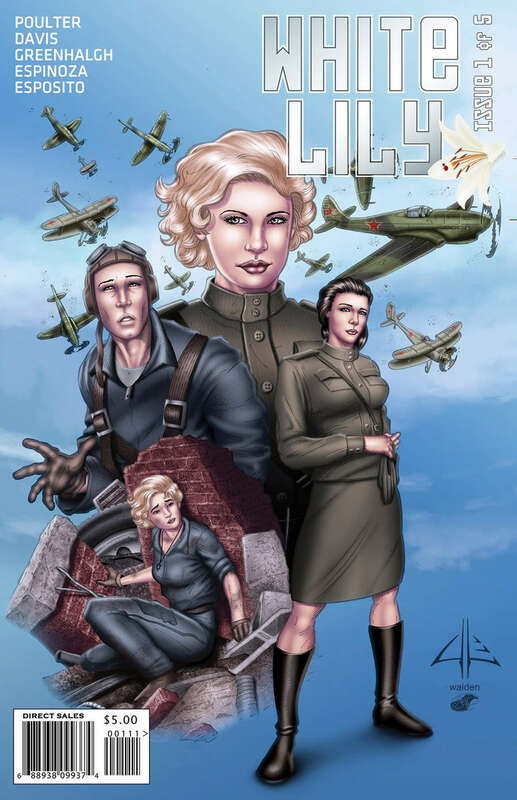 From creator Preston Poulter comes this series of comics showcasing the real life story of the two highest scoring female combat pilots in history. The series will examine their battles both in the air and on the ground as they move from civilian flight instructors during the Battle of Moscow, to fighter pilots during the Battle of Stalingrad, to free hunting aces at the Battle of Kursk. The series also explores the romantic tensions as a love triangle develops between Katya, Lilya and Alexei, the dashing flyboy who finds he has a weakness for women who can beat him in the air.